How can digital technology support efforts to engage patients more effectively in their care? 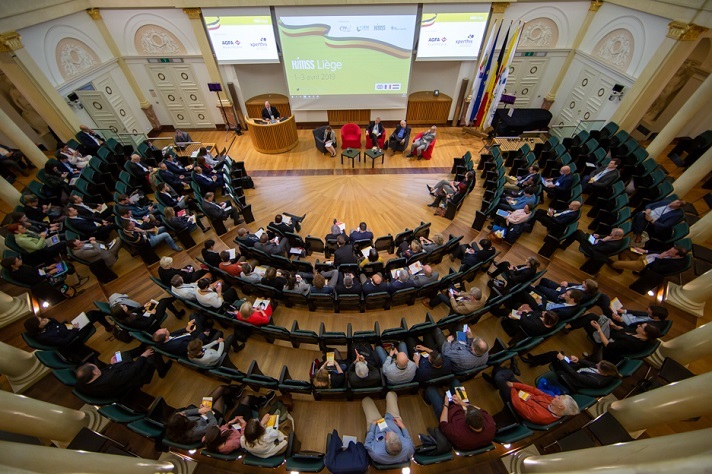 Last week, HIMSS, parent company of Healthcare IT News, brought together stakeholders from the Benelux region, France and beyond to Liège, Belgium, to discuss what the opportunities and challenges are in making this a reality. The conference ended with a tour of Liège University Hospital, a HIMSS EMRAM Stage 6 site and a case study in patient-centric design, described by Professor Philippe Kolh, the organisation’s chief information officer, as an example of “what can be achieved if digital health is seen as an enabler in the ongoing striving towards excellence”. “We do not have enough money in any country to build as many hospitals as we would like,” said HIMSS CEO and President Hal Wolf. “There are not enough clinicians, nurses, physicians, and even if we have the money, we don’t have the workers to fill the demand (…). Then, how do we deliver the best care possible? “Technology is not the answer, it is a tool. We must reinvent how we deliver our services, otherwise we will create a costly environment not responding to the needs of the patients,” Wolf added. “By sharing our experience [at the Liège University Hospital], we would like to encourage others in their endeavour to bring patients and hospitals closer, be it inside or outside the actual hospital walls,” Professor Kolh added. “Digital healthcare should disrupt the situations that affect people’s health, it should not disrupt the lives of those it is intended to help,” said Mark Brown, development director at Social Spider CIC [research and project development community interest company] in the UK.